but in his nakedness, as he knew himself to be. my hungry flicking tongue fill your craven heart with fear? Give me your reason for this trembling revulsion. in the bottom of this deep cup, where I collect your blood? science, that for a century deluded eyes have seen." submission? Do my throbbing muscles spell obedience? the spirits of bloodthirsty men are contained in me. 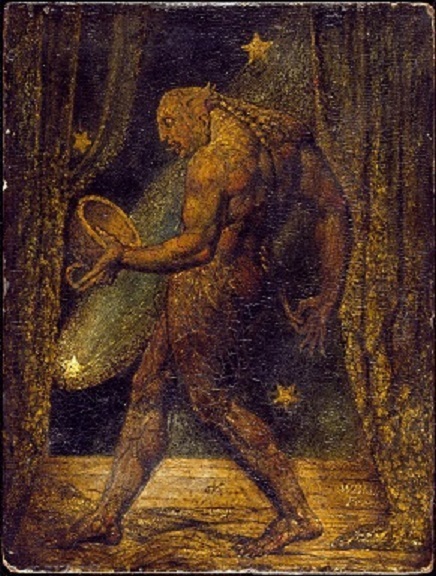 'The Ghost of a Flea' by William Blake. Tate Gallery.